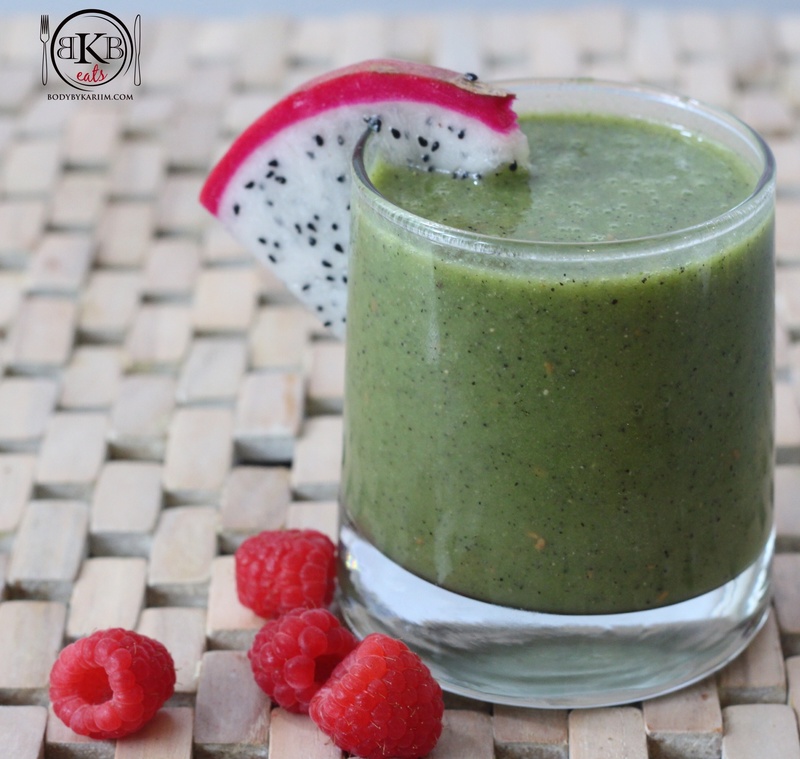 Our Dragon fruit smoothie has to be one of our favorites! It’s like enjoying a sweet treat. This smoothie is very refreshing, tasty, and especially rich in Antioxidants, Vitamin C, Healthy Fats, & Fiber. Slice & scoop dragon fruit from its flesh. Begin to place ingredients in the blender starting with the raspberries. Once all ingredients are in the blender, liquefy to your liking.